Auf Camping du Bois de Chièvre in Bonneval (Eure-et-Loir) campen Sie mit der CampingCard ACSI in der Nebensaison schon für €14,- pro Nacht. Auf einem der 62 Tourplätze verbleiben Sie im Zeitraum 01-04-2019 - 16-06-2019 und 16-09-2019 - 03-11-2019 mit Rabatt. Schöner Camping, ruhig gelegen und mit großen Plätzen. Spielgelände und Kletterpark mit 4 unterschiedlichen Distanzen. Mit Restaurant. Ab 15 Euro kann man mit EC-Karte zahlen. Nice quiet site when visited. Few on site. Patron friendly but messed up on positioning. Were told anywhere picked best pitch for us just settled when very rude man appeared and indicated it was his pitch. Paton appeared and apologised yes it had been reserved. His fault. All pitches slope largely forested facilities need a good clean. Reasonably good for overnight stop spoilt by dirty facilities. A very good stopover, close to several Channel ports. Easy 30 minute walk to town with some Restaurants and bars. Pitches very spacious and well kept. Regretfully when we arrived I was told to speak French, so I did !! On paying, I was told a Credit Card could be not accepted. I pointed out that the ACSI book show it is. I had to pay with cash. The restaurant is open 18.00- 21.00, I went for a takeaway at 18-15 and was told that it was not possible until 19.00hrs. Not helpful. My son and I stayed 2 nights and found the place to be clean tidy and all amenities available . We would recommend it to anyone .. It's a quiet lovely site,river walk and owners were friendly fab people .. Excellent stop over we have used this site most years as a stop over. We find it just a nice distance from Calais. Stayed 19 August 2014 only for overnight stop on way to Spain. Very friendly staff. Toilet block clean and good sized pitch. Would certainly use it again. We used this sight as an overnight stop on our way to St Omer and I am so pleased we picked it. The shower blocks are very clean with plenty of hot water. The pitch was very good with plenty of space. We had food in the restaurant which was both very good quality and good value for money, plus the WIFI is then free. The staff try very hard to speak English and are so friendly and appear to work very hard. Nothing was to much bother for them. Owner appears to fill every post. Works her cotton socks off to ensure you have excellent service. Meals in small restaurant excellent and good value. Quiet secluded site. Not much to do in surrounding area apart from boat ride round town. Only used as a night halt on the way back to Calais for which it is very well placed. We had our choice of pitches and chose to be near the bar (for wifi) which was good. The wifi is free but the code is now only given if you patronise the bar. Toilet facilities are excellent with lots of hot water and pitches are of a very adequate size. We did not explore at all having arrived late and leaving early. Gem of a site, lovely welcome, would like to go back and stay longer. Shady pitches under the tress, large pitches well set out, good variety of bird life. Möchten Sie Camping du Bois de Chièvre buchen oder nähere Infos? Das geht über die u.g. Angaben. Von Chartres über N10 Richtung Bonneval. Vor Zentrum links, gut ausgeschildert. CP liegt ca. 1,5 km östlich von Bonneval, über D144 und C1 erreichbar. 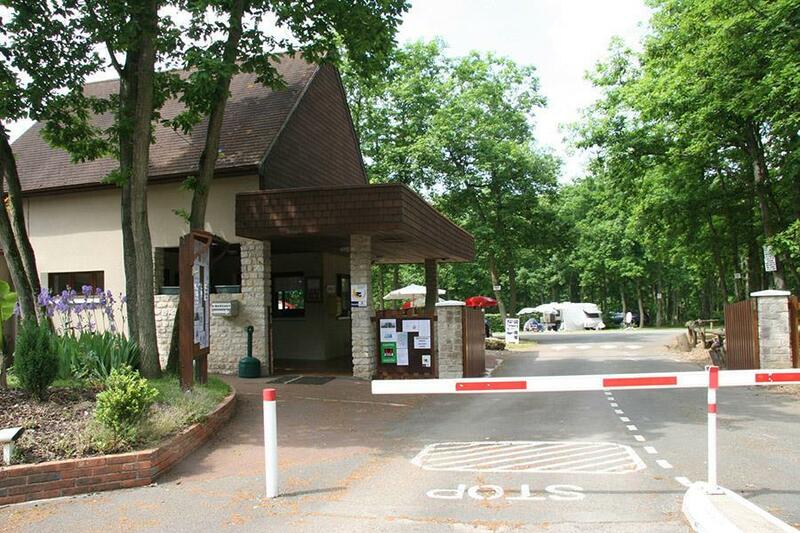 CampingCard ACSI schickt Ihre Info-Anfrage an "Camping du Bois de Chièvre" durch.